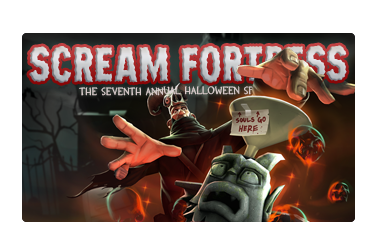 Scream Fortress VII has arrived! Added "Sort by Date" to the backpack. Newest acquired or altered items are sorted to the front. Update is indeed inbound today. Did I miss something or did they say they weren't doing Halloween this year? Or was that just a 'no new boss' thing? On another note, I'm quite happy to see these new cosmetics are non-halloween restricted items. That restriction always used to still pisses me off kinda because I really like the look of a lot of "halloween items", but oh well. They said they weren't doing any new official things, and that the maps, items, etc. would all be from the community. Which is good and all but they went and added tier-based rarity to the halloween case, and the new effects can once again only be gotten on the items inside the case. Cool. This is a lot more than I expected they'd do. Looks like fun!